Summer is just around the corner and we have a few fun family trips planned. 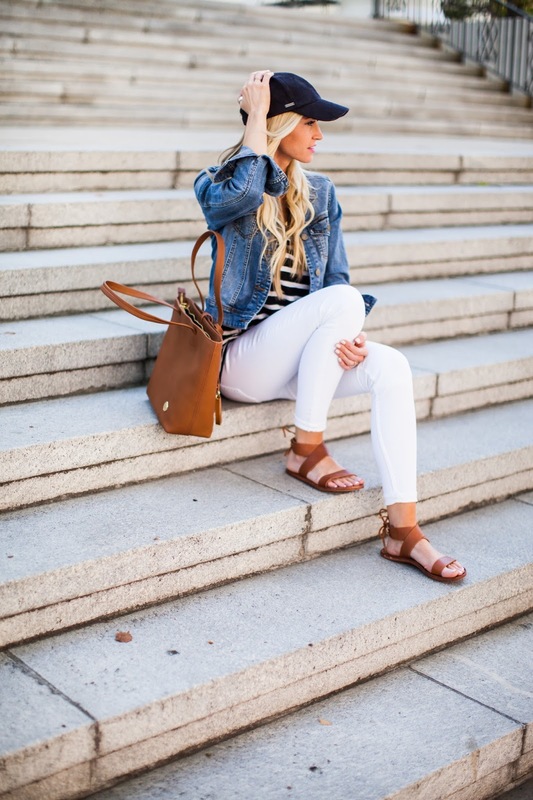 I've had my eye out for a good pair of summer sandals, and I love these ones from beek. They are made from 100% leather, so they are long lasting and durable. I've been wearing them constantly the past couple of weeks, and I can already tell that my foot is starting to mold into the leather, making them super comfy. I also love that beek gives back by donating a meal to a child in need with each purchase! I plan on getting a lot of long walks on the beach out of these guys. They have a really great minimal and classic selection of styles (you can check them out here). Flats are such a necessity when traveling, especially with kids! We are planning a big getaway at the end of this month, so I'm already mentally preparing myself for all the packing, planning, and walking involved. As long as I can get at least a little time relaxing by a pool, I'll be one happy momma!